''After the demise of her grandfather, nineteen year old Lady Elena St John has spent the last three years running an impoverished barony. Orphaned and alone, she searches for a hidden family treasure while plagued by the ghost of Lady Katherine, the creator of the intricate clues, though the apparition refuses to relinquish any answers. Retired spy, James Stewart, Earl of Richmond, seeks escape from the clutches of his matchmaking family. Intent on finding purpose in his new role, he dives headfirst into the running of the earldom ending up at a forgotten inherited barony. Obsessed with discovering the secret of the young lady in residence, he is convinced the recent series of accidents are anything but. 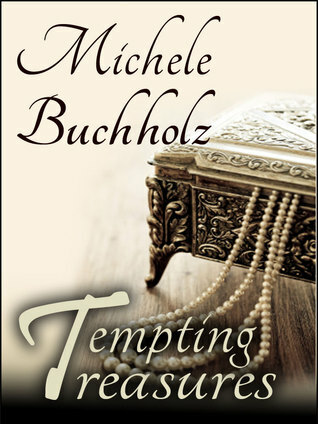 This novel has everything I love; a historical setting, romance, mystery, murder, a secret treasure, villains and a ghost! The story is quick paced and so well written, I felt as though I was actually there walking through those secret passages and could almost feel the tingles when Katherine, the ghost, made her appearances. The romance between Elena and James was realistic, sweet and funny. For a retired government spy, I wonder how good James actually was at his job as Elena certainly managed to thwart him at every turn and keep her secrets well guarded. She of course had the advantage of having the unwavering love and loyalty of her staff and the villagers. And as for all his blustering about wanting to keep her safe and guarding her, he never actually managed to properly come to her rescue despite all the opportunities to do so. Elena is plucky enough to defend herself when the need arises. James is such a likeable character though. He is very caring of Elena when she is hurt and he treats her with kindness even when she doesn't really deserve it. I also liked Katherine, the malevolent ghost, whose malicious diatribes added some humour to the tale, as she goaded Elena every opportunity she could get. I really enjoyed this book and I look forward to reading more by this author.